Historically, most primary care practices, including health centers, have provided episodic care to individuals who booked appointments or needed emergency care. Practices optimized their workflows and staffing models to address the medical needs of these “active” patients during face-to-face encounters in clinical settings. Over the past two decades, a sea change has swept through health care, forcing organizations to rethink—and reorganize—how they care for their patients and their communities. Today, primary care organizations aim to proactively manage the health of a defined population of patients that is assigned to them; in California, this is established most often by a Medi-Cal Managed Care Plan. As such, there is a need to use data to identify, segment, and appropriately respond to medical, behavioral, and social needs through effective care interventions. 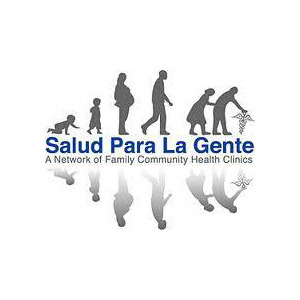 And recognizing that social determinants (health-related behaviors, socioeconomic factors, and environmental factors) account for up to 80 percent of health outcomes, there is also a need to broaden the population health management lens to include understanding the social, political, and cultural context in which patients and their families live and to focus on providing whole-person care. Such a change requires developing new skills in patient outreach and engagement, adding new roles to care teams, building community partnerships to address social needs, and connecting with patients over email, phone, telehealth and other methods in addition to the traditional office visit. Despite setbacks to California’s Alternative Payment Methodology Pilot (APM), market trends indicate value-based payment is on the immediate horizon. Organizations must to prepare for the changes needed to succeed in a value-based environment. Building on our past CP3 Population Health Program, CCI is launching a new network focused on sharing best practices, innovating new care solutions, and advancing the spread of vetted changes that propel organizations towards value-based care and payment models. In partnership with the California Health Care Foundation (CHCF) and Blue Shield of California Foundation (BSCF), the Center for Care Innovations (CCI) is launching a Population Heath Learning Network (PHLN). Up to 30 organizations will be selected to participate in this two-year network focused on learning, sharing best practices, and taking action to advance population health. Goal: Improve the health and wellbeing of more than 750,000 Californians by bringing together safety net primary care organizations to strengthen and advance their population health management strategies. As year 2 begins, with additional support from Dignity Health, PHLN participants received grant awards to support implementing new projects around areas such as social needs, behavioral health integration, data and reporting to address gaps in care, and more. Learn more about the PHLN and see the recently announced Year 2 projects. View the full infographic for an overview of our program focus and participants’ project topics. Over the two years in the network, organizations will commit to attending three in-person convenings and also select from a robust array of technical assistance and support depending on their needs in managing population health. This can include consultations from experts, capability-building trainings and webinars, site visits to peers and exemplars, and 1:1 customized coaching on core content areas listed below. Travel grants between $4,000 and $8,000 are provided to all participants to offset costs to attend in-person convenings and site visits. In year two, we will offer grants of up to $30,000 to support specific project ideas that focus on deeper implementation in one or more strategies to strengthen your population management approach. Grants will support the focus on a project area, and organizations will be eligible to apply and receive more than one grant award. Further technical support and in-person meetings will be offered during this second year. Organizations participating in first year activities will be able to submit proposals for the second year in January 2019. This week, we visited to Cambridge Health Alliance in Somerville, Massachusetts. Here's what I learned. Petaluma Health Center is a beautiful place showcasing the technology, open workspaces, and design that I would expect to see at a Silicon Valley startup (minus the scrubs).